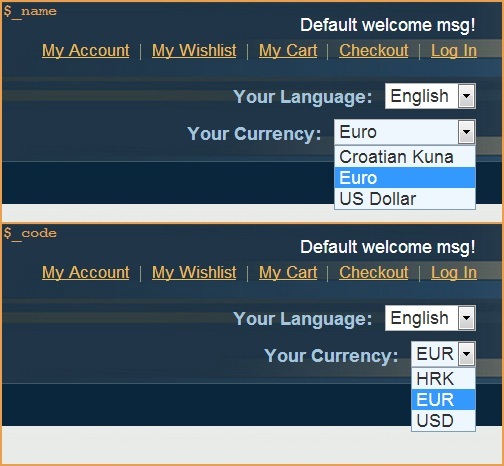 Since Magento has built in functionality for currencies, it shouldn’t be too hard to create custom currency selector and put it to the header. You might say this tutorial is for beginners, since it’s pretty much straightforward. 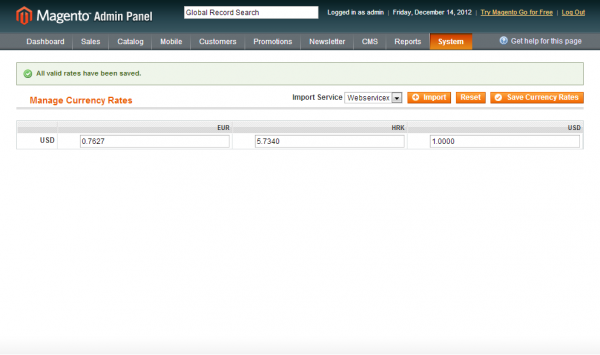 You might have noticed the “Currency Setup” tab in Magento’s Administration under “System->Configuration” menu. There you should select default site currency, and besides that, all currencies you want to support. You can put in line #10 either $_name or $_code, depending what do you want to show in your currency selector. Here you can see how these changes affect to the selector. 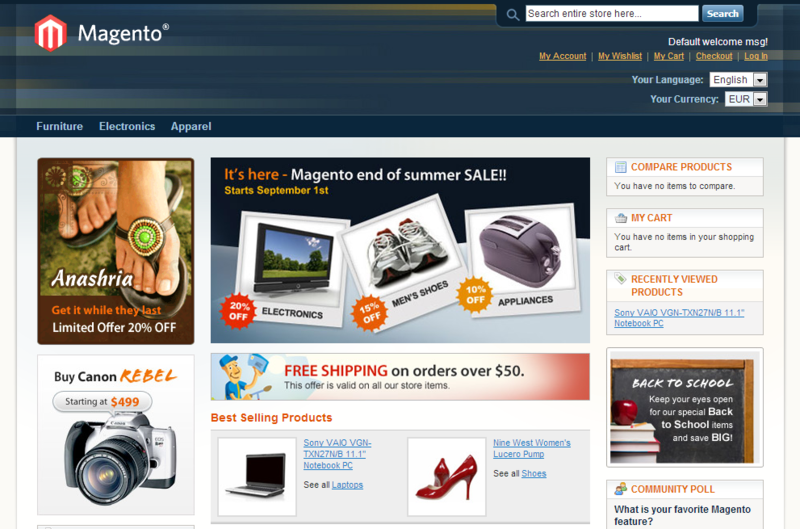 Next thing you should do is to tell Magento which template should be used for the selector. You should create “YOUR_PACKAGE/YOUR_THEME/layout/local.xml”, or just append the following content if you already have this file in your theme. I hope this helped someone, cheers! This article was revised on Dec 14, 2012. You will notice that some of the comments are older. This is because the original article was posted in 2011 by Mladen Lotar. In case you need any additional help or simply want to get your store in the best possible shape, we would be happy to assist you. Find out more about our Magento Technical Audit and what we can do for you! what if I will use only 1 currency, will it display or not? Thanks this is great but I have one issue! It works fine when there is no products in the basket but as soon as you add a product to the basket and then switch currencies the site breaks and times out. My memory limit is 1024M so that is fine? You have to reset the cookies to get the site back again, it’s is browser specific. Any ideas as to why it fails? It also fails with all extensions disabled so that is not the conflict either. 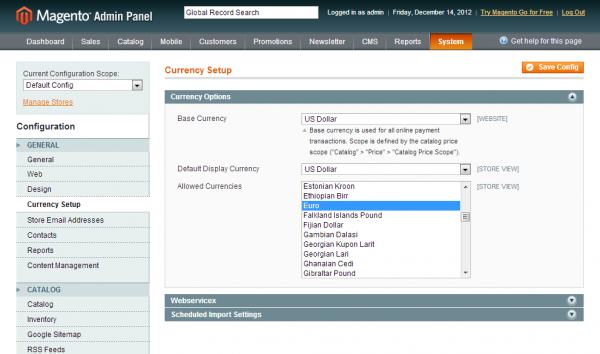 can i connect the API from the forex currency for the currency conversion…rather then converting the currency rates manually?????? Great article, really helped me. Currency should be top right, it’s an internet convention. 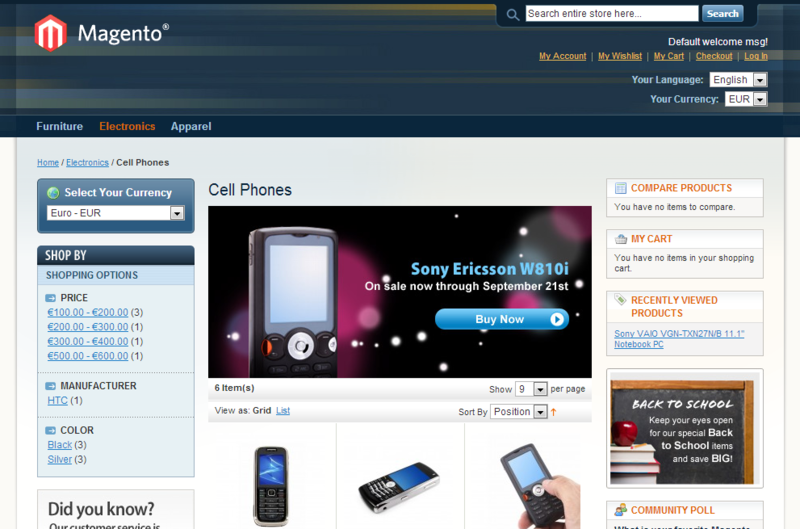 and all my magento cache is disabled. Try fall back to the default base theme?